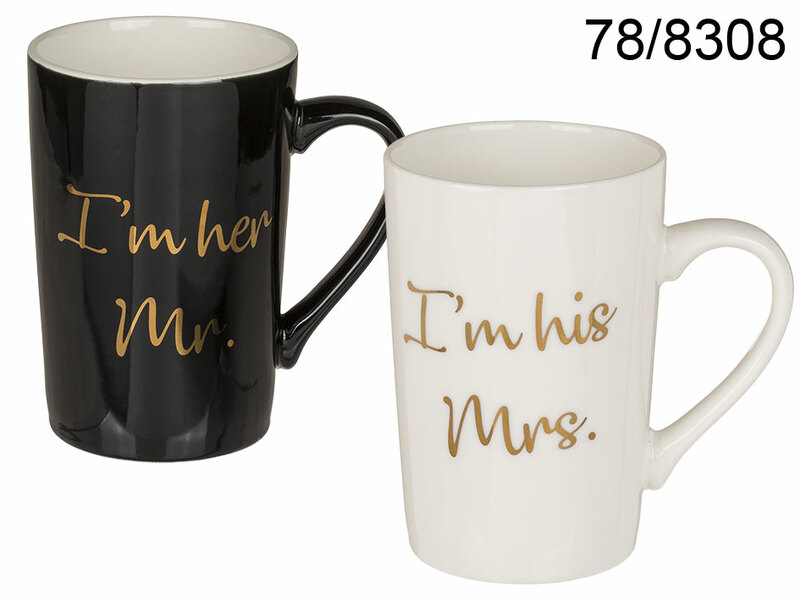 New bone china "I'm his Mrs" or "I'm her Mr" mug with beautiful golden lettering. Two versions available - assorted. Romantic promotional item for Valentine's Day.